Rosemary Sutcliff’s 1954 novel The Eagle of the Ninth was one of three books which, together with early and excellent Latin classes, set me on the path towards classics as a child. The others—Black Ships Before Troy, also by Sutcliff, and D’Aulaires’ Book of Greek Myths—shall always have a fond place in my heart, but it is The Eagle of the Ninth that held me spellbound. The landscape of second-century Britannia was wondrously familiar and strange, and I spent hours tracing my finger over the map at the beginning of the book and matching the ancient names to modern places I knew and had been. Londinium. Aquae Sulis. Isca Dumnoniorum. I loved Sutcliff’s evocation of the variety of people on the margins of Rome’s imperium, and the tensions between them. Romans from Italia, Romans from the provinces; Britons, Celts, and Picts in varying degrees of enslavement and Romanization; soldiers, priests, and politicians. The Eagle, a 2011 adaptation directed by Kevin Macdonald, maintains some of this variety, and, for the most part, the plot and historical context. 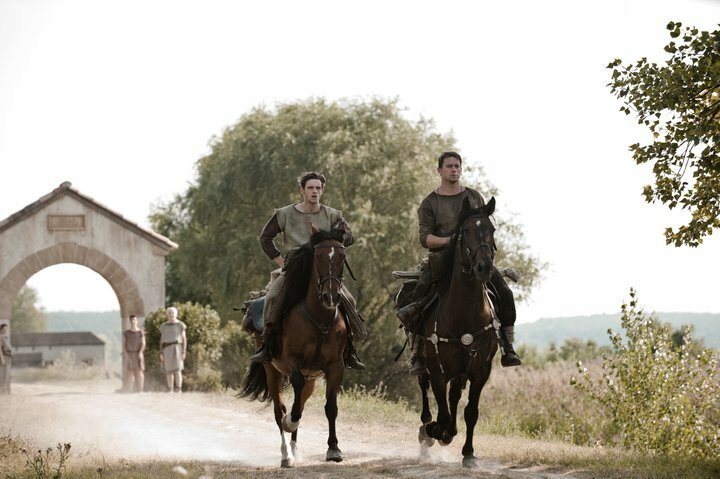 Young centurion Marcus Aquila (Channing Tatum) comes to Britannia hoping to discover the fate of his father, who twenty years earlier marched into the unconquered north and disappeared with the rest of the Ninth Legion. Seriously wounded during the first battle of his first command, he is forced to retire to the home of his uncle (Donald Sutherland) at Calleva Atrebatum to recover. While there, he hears a rumor that the Ninth Legion’s eagle has been spotted north of Hadrian’s Wall and decides to recover it, and, he hopes, his family’s honor. 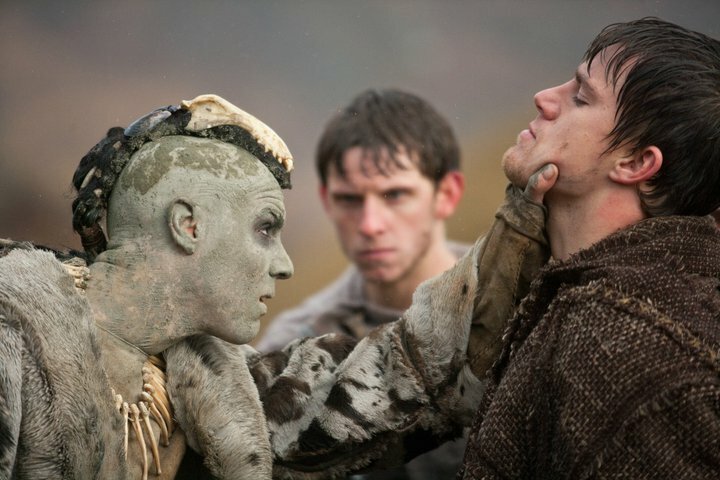 And so Marcus sets out, accompanied only by his Celtic slave Esca (Jamie Bell). However faithful the plot appears on paper, the tone of the film, and its political subtexts, could not be further from the book. With its dust, cattle, and pallisades, the frontier post at Isca Dumnoniorum looks more like Texas than Yorkshire, an impression strengthened by the Romans’ American accents versus the Britons’ Anglo-Scottish hodge-podge. (Tatum, in particular, has a distinctly southern twang.) Where Sutcliff’s Marcus calmly gives orders to “Shoot me that maniac,” the film Marcus sets his jaw, breaks formation, and charges headlong into the fray. This is a world of individual heroism, last stands, and glory, not tactics and efficiency—more Western than sword-and-sandal. Even Marcus’ doctor seems confused as to what genre he belongs in, extracting pieces of metal from a wound caused by an overturned chariot, not a bullet. Tahar Rahim as the Seal Prince. Image: Focus Features. The turn towards an American approach to storytelling and violence becomes disturbing when Marcus finally encounters the Seal People, who (without giving away too much plot) have plenty to hide about the Eagle and its loss. The women and children of this tribe look like peasants in a Scottish fishing village circa Braveheart, but the men sport mohawks, bone necklaces, and dark all-over warpaint. The evocation of Native American cultures is deliberate: Michael Carlin, the production designer, designed the Seal People’s village “as a cross between Celtic stone houses and Inuit tents,” while costume designer Michael O’Connor says that “Marcus and Esca go into an unknown world, just as the first explorers of America did.” (“Making The Eagle,” Focus Features). Is this our only image of a “primitive” society? Is our cinematic vocabulary for victim-as-villain limited to “Native American,” and vice versa? Clearly the filmmakers have Things to Say about American imperialism, but to my mind this is far from the best way to say them. The intersection between the film’s portrayal of the Seal People and its portrayal of slavery is, if anything, more concerning. The Romans—Uncle Aquila in particular—distrust slaves, but it is the Seal People who most consistently show cruelty towards them. This, problematically, emphasizes the civilization-savagery binaries between the Romans and the Picts and tacitly justifies Rome’s military brutality. In the book, Marcus frees Esca before the journey north, so that they go as friends and equals rather than as master and slave. The film is perhaps more realistic in leaving Esca’s manumission until later, but it utterly changes the nature of the two characters’ relationship, makes Marcus a less sympathetic character, and complicates Esca’s motivations in ways that are not adequately explored or explained. As wild and wooly (and, often, beardy) as things get in Caledonia, production values south of the wall are fairly high, with convincing images of Roman provincial life. Particularly impressive is the gladiatorial match in which Marcus saves Esca’s life, a muddy occasion at which many audience members seem bored at best. Provincial life, however, is far more narrowly provincial than in Sutcliff’s novel: nowhere do we hear of Marcus’ childhood on a farm in Etruria, or of his father’s previous tours of duty in Judaea and Egypt. This is a purely insular world. For all its problems, the film is enjoyable to watch. Tatum’s performance as Marcus rides on his fabulous fight scenes, and, though his emotions remain firmly at the stubborn and suffering end of the spectrum, there is a certain thick-headed charm to him. Bell, as Esca, does an impressive job making the most of the meager amount of inner turmoil the script-writers give him. French actor Tahar Rahim is memorable as the Seal Prince, and Sutherland’s Uncle Aquila provides the sort of knowing wink that communicates contemporary parallels far more subtly and effectively than a Pict with a tomahawk. And, if the toga-clad politicians, cowboys, and Indians weren’t enough for you, there are some bagpipes waiting at the end.